Lost in Arles: Summer treats - La Fabrique Givrée & "Markets of Provence"
Summer treats - La Fabrique Givrée & "Markets of Provence"
Long-time friends here know that I can be a bit squirrelly - no, not just in the sense of being loopy, although there is that too - but I have been known to tuck special things away to save for a later date. ...I immediately thought, "This place is fantastic. I should absolutely do a post about it...for next summer!" Eh oui, call it the Rainy Day Modus Operandi (one that life has been none too subtle about demanding that I abandon as of late). But I digress, for no matter where you are right now, no matter the time of day, wouldn't you be tempted by a densely packed scoop of say...Vanilla from Bora Bora, Thai Lemongrass, Ethiopian Coffee or Iranian Pistachio? Can you feel the cold brushing across your lips? Of course, you could always fall back on the ever-reliable salted butter caramel or sesame praline (I did)...but regardless, one quickly gets the drift that this is no Dairy Queen (sorry, wonderful Ellie). Can't decide which way to go? No one can, really, so don't worry about it. The line (and there will be a line) is full of indecisive hmmer's. 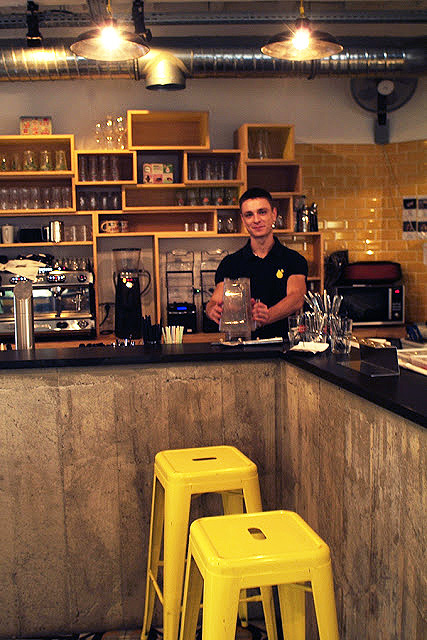 Plus, if you are really in a bind, one of the cute staff just might give you a taste. If you are friendly. And it always is best to be friendly, now, isn't it? I love the story behind La Fabrique Givrée and it most certainly shows in their final product (and I haven't even been able to go back to try their more complex creations yet). 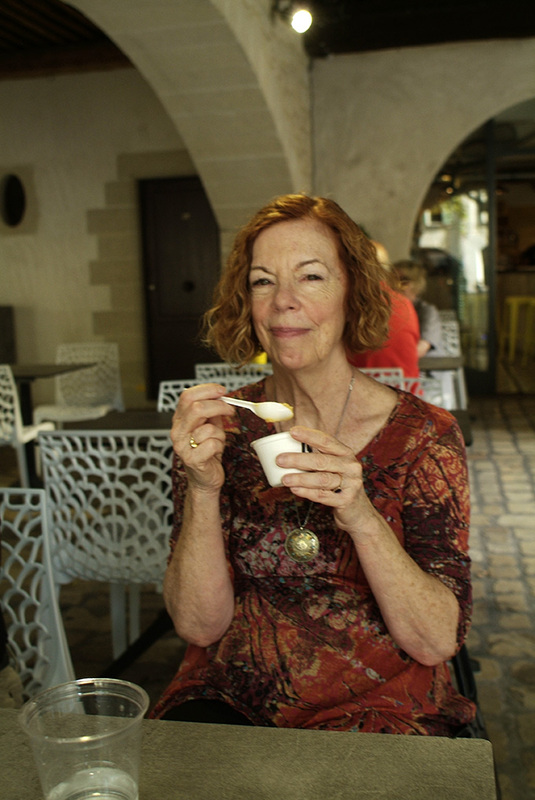 Three childhood friends married their love for their region (all of the milk, cream, fruit and yes, saffron come from the Ardèche and Provence) and their joy in traveling the world (the foreign products, such as the Valhrona chocolate, are all responsibly sourced under a protected designation of origin) into ice cream...albeit, la glace as an art form. Coup de grâce? Their Uzés location is the only and I do mean only spot that I can recommend for fine eats under the arcades of the exceptionally lovely but highly touristy Place aux Herbes. Enjoy. There are other boutiques in Aubenas and Lyon. During Summer 2016, certain tastiness is available in Paris at Fou de Patisserie in the 2nd. Sheepishly, I will concede that there is not one but two wonderful treats that I have been meaning to share with you. And the second is to be enjoyed all year around. 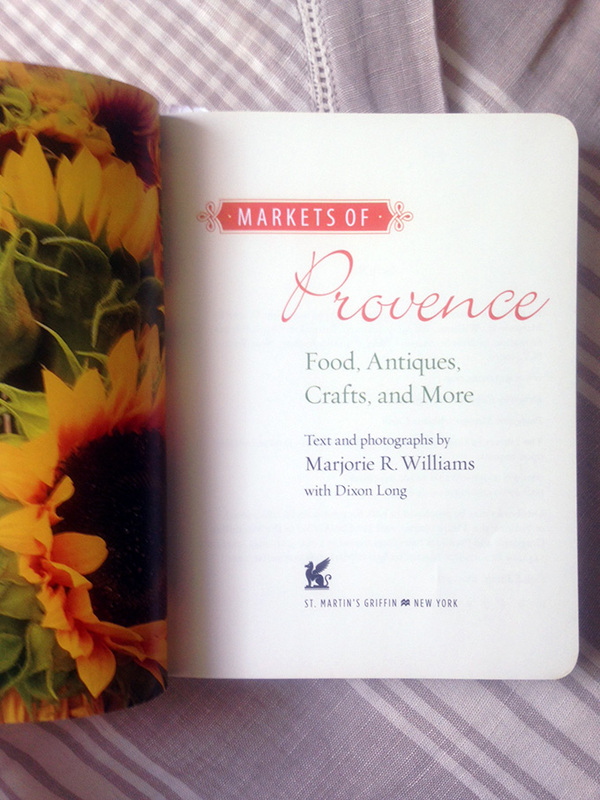 Taking the admissions to the blushing red level, I will confess that while I was quite excited to read Marjorie William's "Markets of Provence," there was also a rather Grinchy side of me that was gleefully hovering over its pages, tapping my fingertips together, just waiting to be able to shred it to bits. Quoi? I know. Je suis terrible. But, but just because Madame Williams has already had a galloping success with her "Markets of Paris," to the point where it is now in its second edition, who is she to think that she could just come strolling down to Provence and conquer, like une vrai Parigotte? The world of Provençal markets is a complex panoply that even someone who has lived in the region for over ten years would hesitate to take on for fear of slipping into clichés or making a false step. Save that she doesn't. "Markets of Provence" is just perfect. It is an incredibly useful resource for visitors and locals alike. 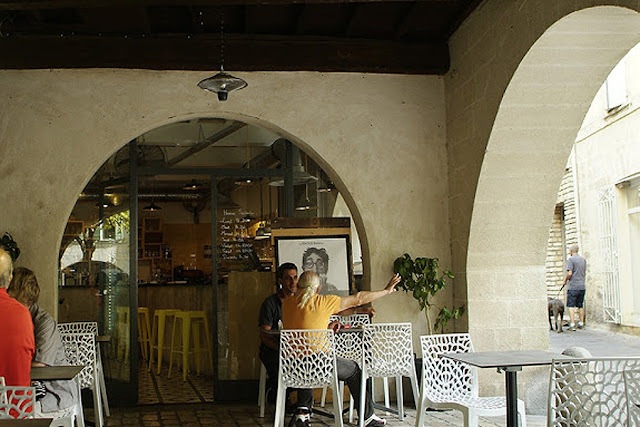 The book is divided into markets open by day of the week (as it most certainly should be), delineates the musts with the maybes and is served with a pinch of history and culture on the side for context. Occasionally, she "sees" what is on offer through the knowledgeable eyes of someone who knows each market best. "Now who would that be for Arles?" I wondered, the final gauntlet thrown. For the former capital of Roman Gaul, the phenomenally talented (if somewhat temper-driven) Michelin-starred chef Jean-Luc Rabanel is a fitting ambassador, one who offers a witty and wise selection. That Maison Genin is featured for its saucissons d'Arles had me nodding in approval - but truly each suggestion at every market that I know well is spot-on. Chefs and producers in other areas across a broad swath of le Midi add their own tips to the pistou. But it is the bright, crisp language of Marjorie's writing that makes this little big book sing with the precision of a cigale. 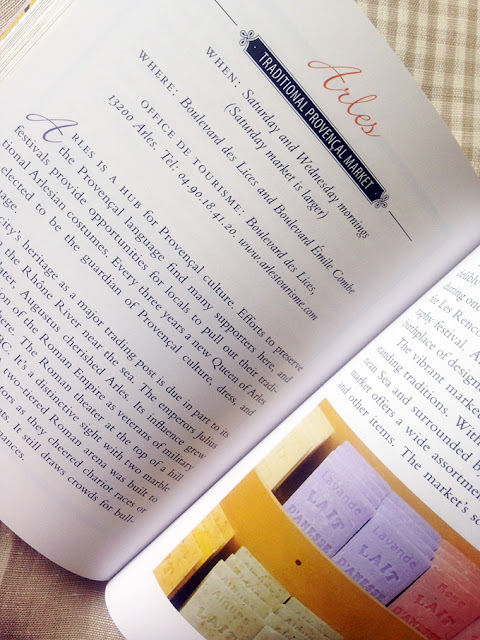 The excellent index section (with restaurant suggestions and vocabulary plus specialty market listings) and encardrés throughout (asking such enigmatic questions as "What IS Provence?") are the final elements that make "Markets of Provence" something to savor slowly from a distance or keep tucked into our straw baskets when we are strolling like a conqueror - or just a happy flâneur - through each wonderfully unique marché provençal. 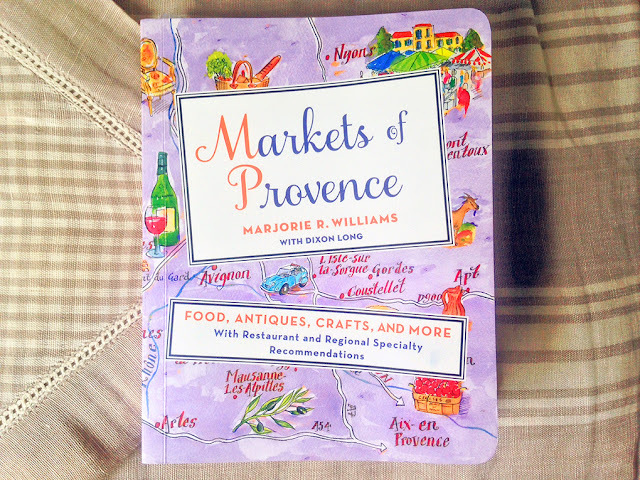 More about "Markets of Provence"
A list of upcoming events and her blog. As always, these are suggestions that I am happy to pass along on their own merit! I hope that you find them as worthwhile as I do. For those of you who delight me with your comments, I do apologize for not responding as much as usual - please know how much they mean to me - but, as I have mentioned, I am spending less time at the keyboard (typing on a phone just does not do it for me) and more reading at my Sister's house in the country. Cute picture of Mom! And - mmmmm, that looks like some seriously yummy gelato; I guess it might rival DQ's "Blizzard". :) That book looks amazing, too - I don't think of you as being very "Grinch" like, but I'm glad that her book passed your litmus test. Rainy day or non, we'll take what you've got - you're a salve for our souls on almost any topic! Thanks Heather. I enjoyed seeing inside the book, as I have seen this book mentioned on various sites. 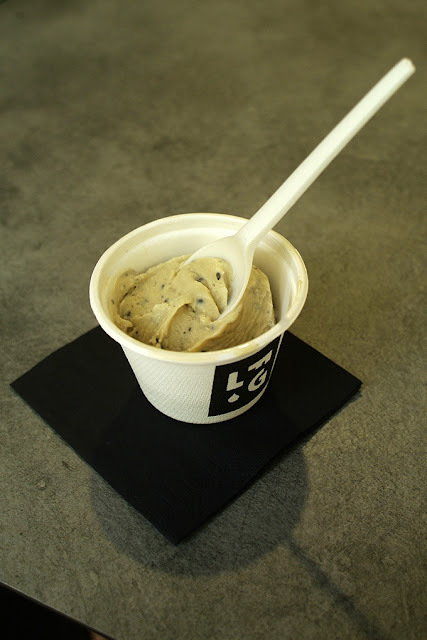 Les glaces looked delicieuse! A difficult decision only made easier by frequent trips back to savour and revel in each of the flavours. Deb, the book is great. It can be tricky sharing the interior as it is copyrighted material, but I think it is important to have an idea so try to do so with respect. Thank you so much Linda and it is lovely to have you here. The incredible array of ice creams and sorbets on offer at our favourite ice cream stall right next to the beach is enough to tempt virtually anyone. They are a far cry from the simple cone with a swirl of vanilla ice cream and a chocolate flake of my youth! 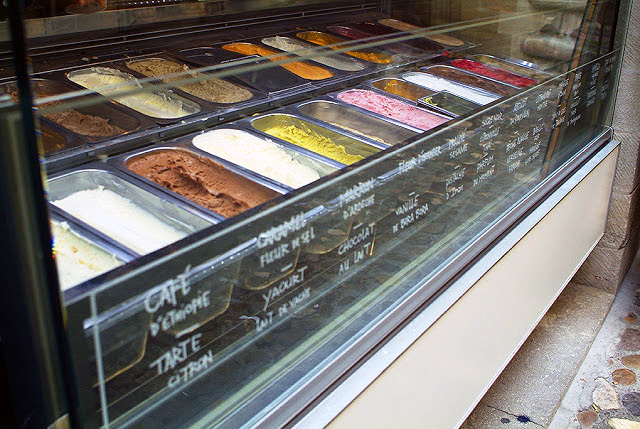 There are some great artisinal ice cream shops in the U.S., but it's interesting that the flavors in France are different. That's nice--you don't want to find exactly the same thing everywhere. 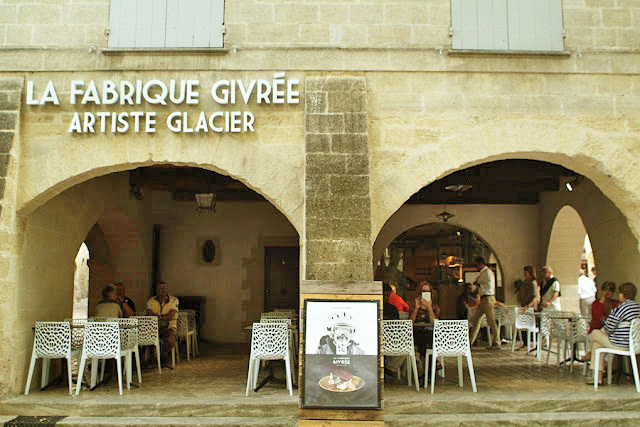 We have a favorite in the old Cite, and my mouth waters to think about it. The book looks interesting. I will have to get it for friends who have yet to cross the ocean to visit. Maybe it will persuade them to come. For those who have made the trip, I have insisted on going to the Saturday market (for us it's Carcassonne), which I consider to be the cornerstone of life in France in general and of my life here in particular. The reaction has been surprise--why would grocery shopping be interesting--but when they get there, they understand and love it. You look so much like your lovely mother, Heather. Thank you for another delightful post. Your prose is like dessert at the end of a lovely meal. Have a wonderful holiday weekend. I take that as a lovely compliment, Victoria. Dear Heather, I keep thinking about Ben and Kipling. So do I, Gina. Every day. Mmmm, now I want ice cream for breakfast! It is so hot today...I want some too! from Hawaii...I love this post, Heather. Your mom and you have the same hair and it's so beautiful. Love the photo of your mom, and would love to know what you are reading while at your sister's! Oh my gosh, so much it is insane. Too many titles to list here but a lot, a lot dealing with fear. HA!!! Our usual spot for a glass of wine is right in front of this shop, facing the fountain and "la place". Leave it to you to literally make me turn around in my seat!!! Oh! And Happiest of Birthdays to your Mom! I see beauty runs in the family!! My Mom is so beautiful. Thank you for including me in that! Yep, have totally heard that expression even though I usually just say "Je regarde, merci" instead. And yes to new projects...we need to keep artistic endeavors flowing! Duly noted ... was just in Uzès two weeks ago. 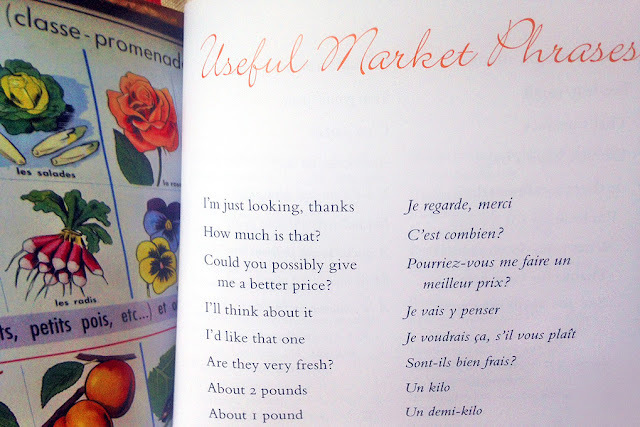 Now off to download "Markets of Provence", thanks to your endorsement! Lovely writing, comme d'habitude! Patricia, it will make you want to hop right back on the plane! Yay! Ice cream. My hips don't need it but I do! So nice to see your lovely memories of time spent in France with your Mom. It really was lovely. It was the first time that her Husband had left the States so we really tried to spoil them even more than normal - which is a lot!! Love this newsy and informative post Heather and your mom is stunning! would love to savour some of those ice creams right now but I am catching up on the laundry after being away on our boat. I hope your time on the boat was wonderful - I need to get caught up on your blog! Delicious gelato and a wonderful book! What wonderful things to share with us. Happy Birthday to your mom. A fun - and informative - post, Heather. Keep them coming! Your mom is an older you! So nice! She is a beautiful woman inside and out and inspires me so much! Ok, I'm really impressed with all those ice cream flavors, but, I have to admit I am totally gaga over the Kiki gelato we bought as often as possible in Dubrovnik!! The lavender ice cream in Rousillon was my husband's favorite. I'm still looking for both here in the U.S. Great pic of your mom - I see you in her (just from what few pictures you have shared of yourself) - beautiful red heads! Happy Birthday to her! And, Happy Belated 4th of July - I'm here in MS, where we watched a few neighborhood fireworks - great reflection on the lake. I am SO happy to read that you are in MS, Judi. That is good news to my ears. And I have a LOT of my Mom in me - which is a really good thing. The “Market” looks like a good help and with delicious ice cream after a stroll. Your mom looks wonderful. You got your hair from her. Actually, my Dad was a redhead too - and so is my Sister! The four of us would always draw attention when we were walking around together. And yes, she is a wonderful lady. Dorothy, this made me so happy to hear! It is why I kept mentioning her..."just in case" she would click with someone because I know that listening to her podcasts have truly been life-changing for me and I don't use that phrase lightly! What is amazing is that there is so many more to discover. :) I have also read and reread her book "Radical Acceptance" and highlighted such a huge part of it that I could practically read it in the dark. Her words just go in for me and manage to cut past all of the sneaky voices that say: "but I think that..." and "no it has to be this way instead"...if that makes sense. Well - like Mr Rigers supposedly said "Look for the helpers". On the rare occasions I get out of my own way - I do find that love and even a quiet sort of joy awaits my attention. Tara is (IMO) a very rare sort of guide. Rational and thought provoking yet appealing to our "better angels". Again. Many thanks. I ache for what may have brought you to thrust for deliverance. But I have faith it is at hand. xoxo Dorothy. PS so curious that I asked you for some guidance to Provence - which you kindly steered elsewhere - yet this is the guide/teacher I was unknowingly searching for. That is beautifully put and every word of your response rings true to me. And I was just mentioning your comment to my Sister as it is thanks to her that I found Tara Brach! She mentioned something that made my jaw drop...I mentioned where your hometown is in your profile in passing and she pointed out that you could go see Tara Brach speak on a Wednesday night in Bethseda!!! Wouldn't that be something? I love in her work that she is funny, inspiring and yet practical. As you say, these are techniques to help us get out of our own way. She truly helped me through such a personal crisis...and I am still learning. I hope that Julie was of help. Please email me if I can give you specific ideas for Arles! And yes, life is beautiful sometimes. I think it just might be 'Tara Time' for me. I think I've been resisting, but I have made one small step and looked her up on Amazon to see what all might be available. At home, all bookstores in the Valley have closed. It is so sad, but I have to revert to online. Oh, to touch books. Here in MS, I am headed to the BandN bookstore on Mississippi State U campus tomorrow and I am hopeful I might just find what I am looking for. Thank you for your praises of her, her work, her help - and for Dorothy and for your sister! I just need a little (or a lot) of nudge sometimes!